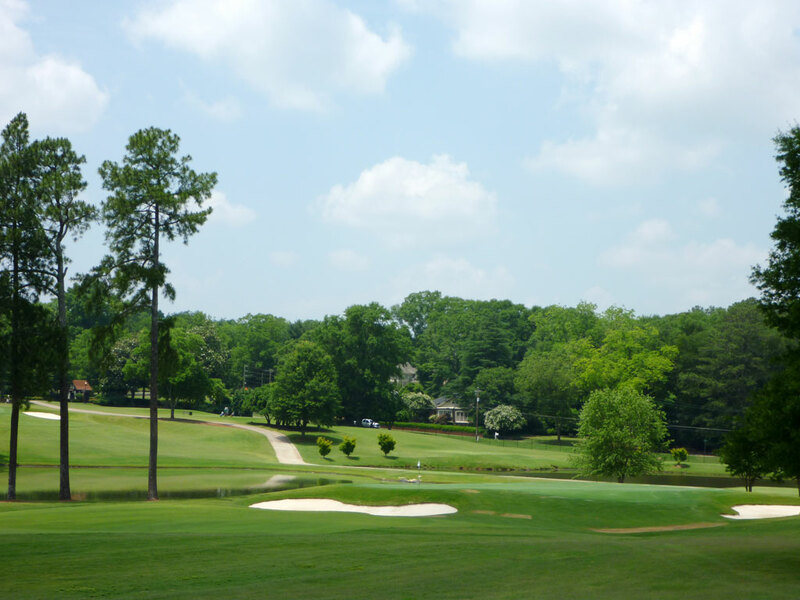 Course Website: Official Website - Visit East Lake Golf Club's official website by clicking on the link provided. Accolades: Ranked 10th in Georgia on Golf Course Gurus' Best in State list. 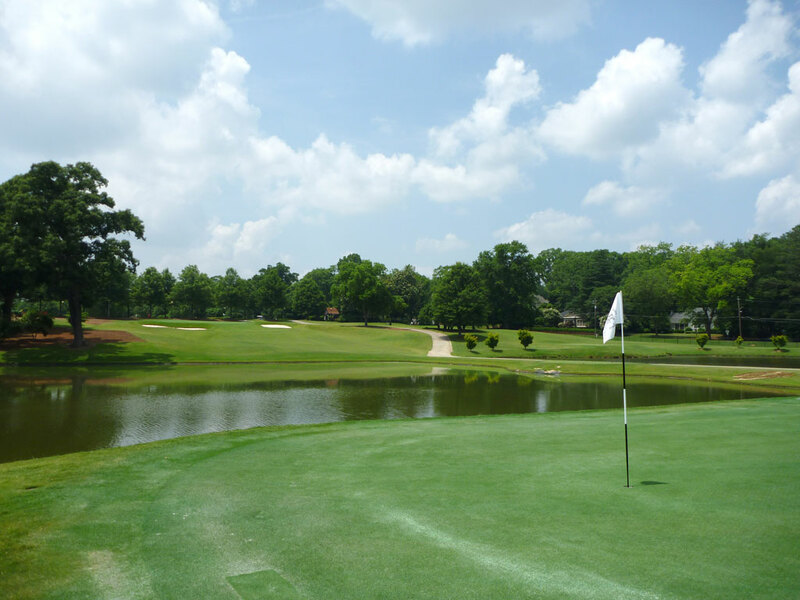 What to Expect: East Lake is a walking only course that features club carrying caddies and a rich tradition. The former home club of golfing legend Bobby Jones, the impressive clubhouse is laced with memorabilia from Jones’ illustrious career. 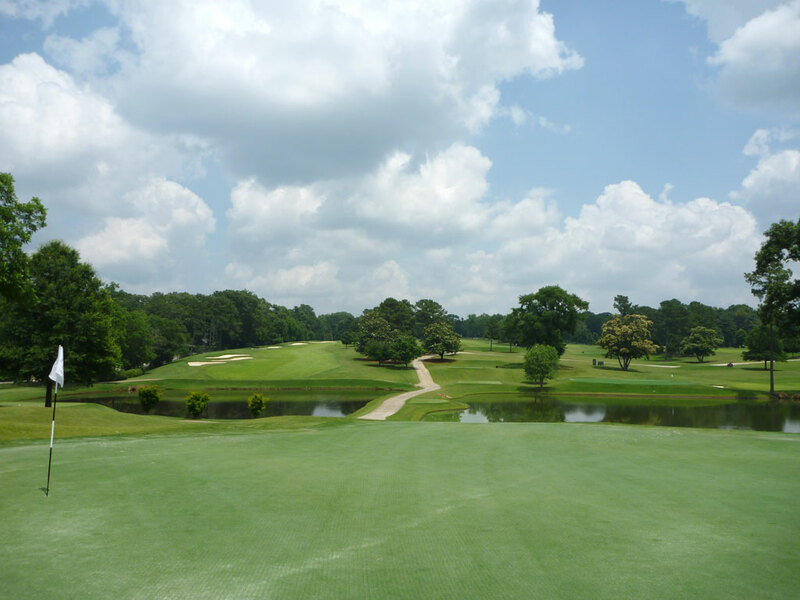 The club used to welcome standard memberships, but is in the process of converting everything into corporate memberships where the club can entertain clients near downtown Atlanta. 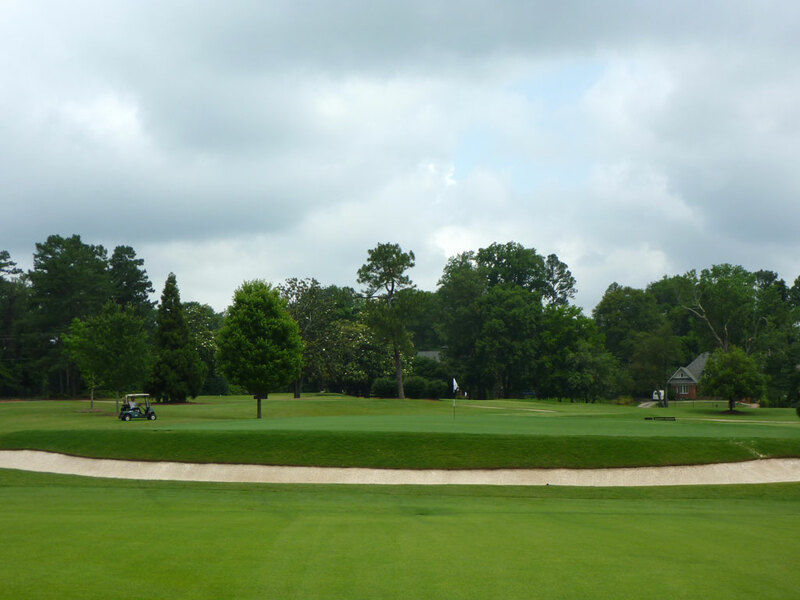 The Donald Ross design can best be described as “pleasant” with gentle contours and a relaxing setting. 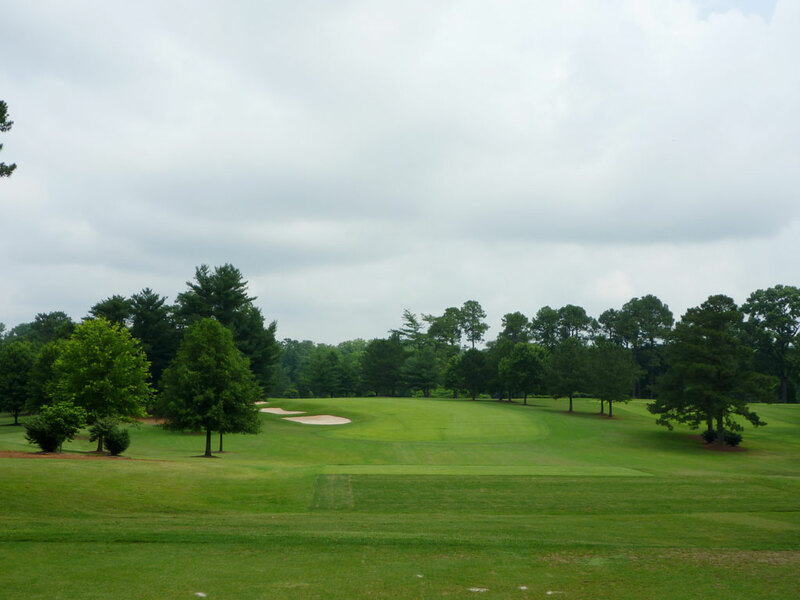 Trees line the fairways but are sparse enough that the golfer is afforded views of much of the course from several different locations on the property. 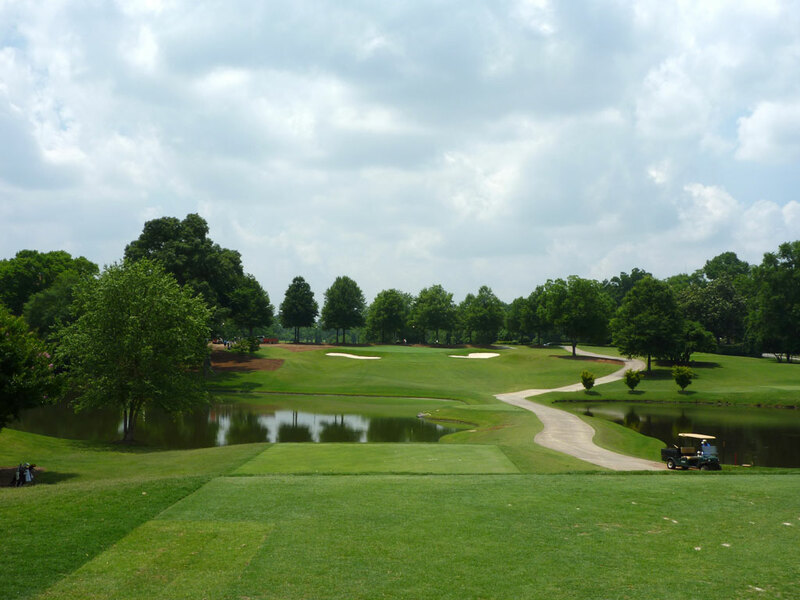 Not only does East Lake host the Tour Championship at the end of the PGA Tour season, the course formerly finished with a par three until the nines were reversed. 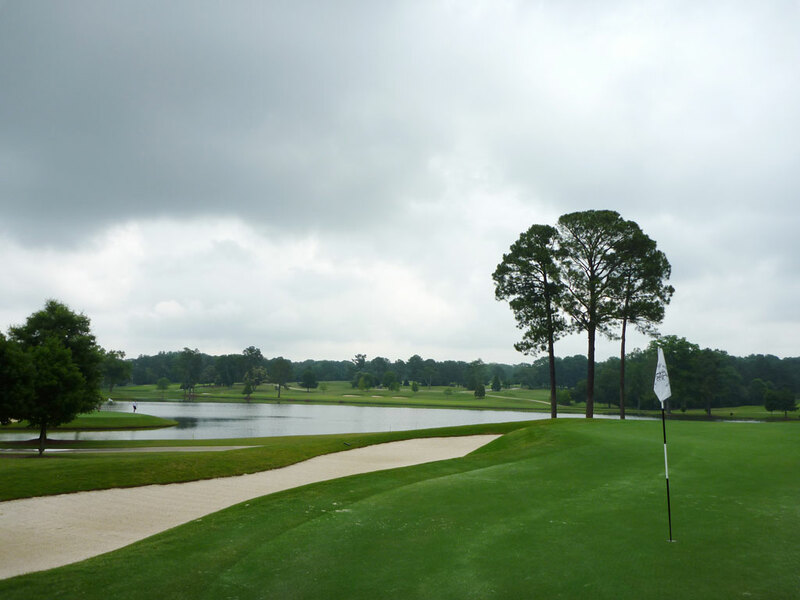 Signature Hole: 15th Hole – 213 Yard Par 3 – The first island green in America was designed as the 15th hole at East Lake Golf Club in Atlanta (originally the 6th hole). Already a challenging target to hit, the club has pushed the championship tee box back to behind the lake and requires the golfer to fly the ball 200+ yards over water before seeing any signs of dry land. This heroic tee shot will instantly put a smile or a frown on your face. 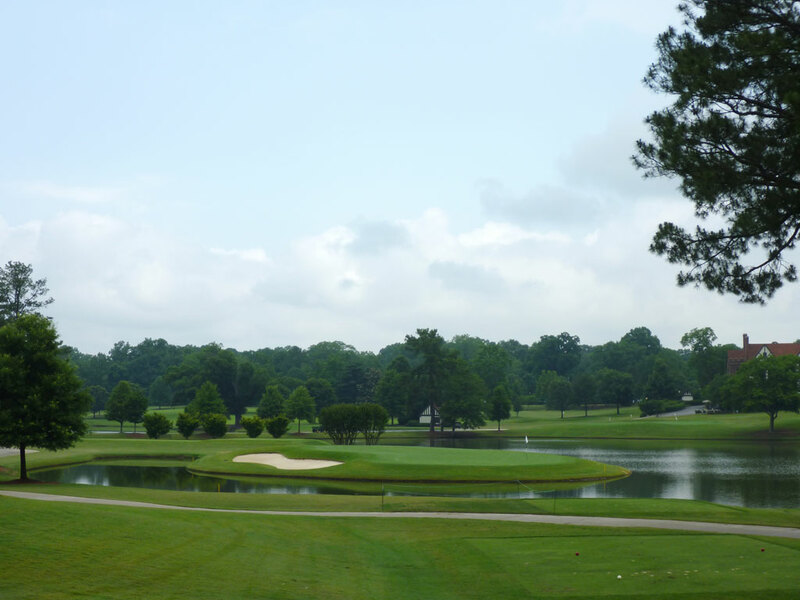 Best Par 3: 9th Hole – 232 Yards – For years this was the finishing hole, but the PGA Tour didn't like closing on a par three for the Tour Championship and so the nines were reversed. Uphill all the way, the tee shot on the 9th may be your most challenging all day. A pond sits in front of the tee box and isn't in play for most golfers, but the deep bunkers on either side of this sloping green factor in for everyone. If you get above the hole, your knees will be knocking trying to corral your next shot near the hole at the most difficult two-tiered green on the course. Best Par 4: 17th Hole – 407 Yards – The second shortest par four on the course is also one of its best. The tees have been lengthed from the original layout and have made it increasingly difficult to contend with and carry the trees and bunkers protecting the inside corner of this dogleg left. A deep mote bunker encirles the front of the firm green and demands distance control from the golfer's approach shot in order to make birdie a legit option. 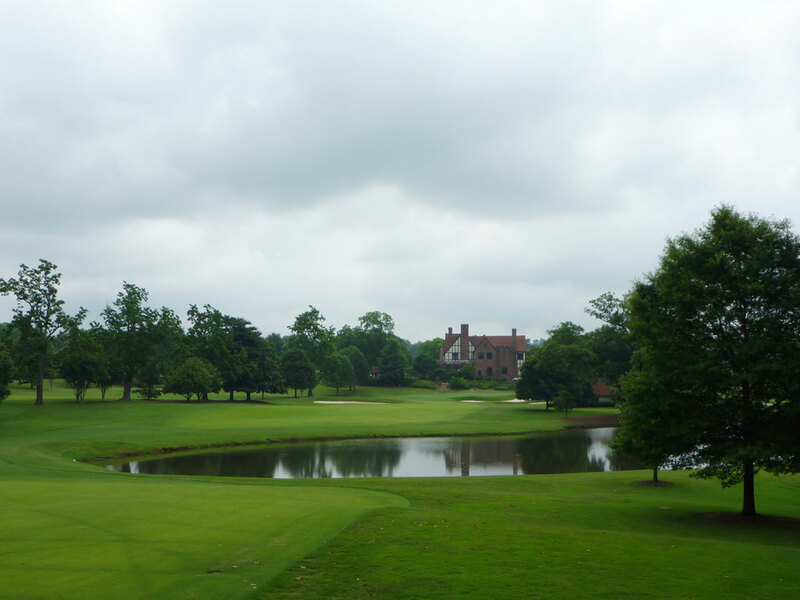 Best Par 5: 18th Hole – 589 Yards – The 18th hole is my favorite at East Lake and delivers the challenge and options I love to see in a golf hole. Off the tee the line isn't completely clear to a first time visitor as the fairway dives downhill and to the left out of view. 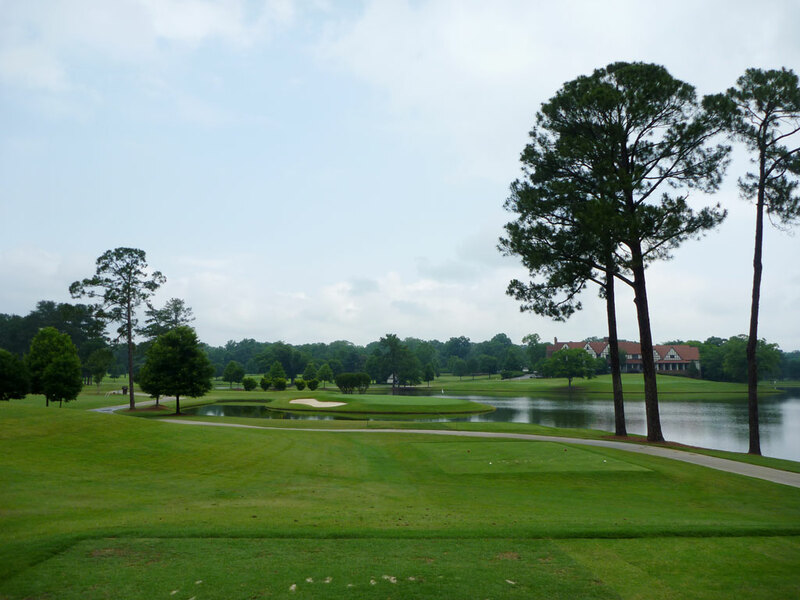 With water looming in the distance the golfer must decide between a fairway metal off the tee and likely having to layup on the second shot, or whether to pound the driver up the left side in hopes of finding the fairway and the slope of the fairway which will feed the ball into position in order to reach the green in two. The safer tee shot up the right side of the hole brings water into play on the second shot as the player can use the clubhouse in the distance as an aiming target. A pair of deep bunkers protect the green that angles away from the golfer and finishes off an excellent grouping of challenges on this hole. 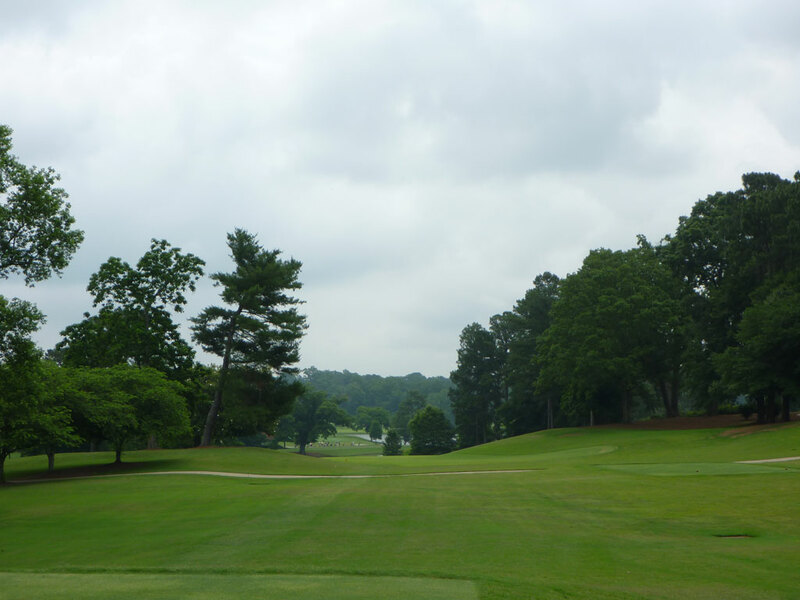 Birdie Time: 14th Hole – 559 Yard Par 5 – Anytime a hole is shortened a tad and considered a par four for the PGA Tour, it offers an excellent chance for us regular guys to score a birdie when it plays as a par five. That is the case on the 5th hole at East Lake that plays well downhill and generates some forwards kick in the fairway that setup long iron approach shots to reach this green in two. Beyond the green a large pond looms, but the front of the green is open and accepting to shots chasing into the putting surface. I got lucky the day I played at East Lake and was able to stick my 220 yard approach shot to kick-in distance of the hole and carded a rare eagle. 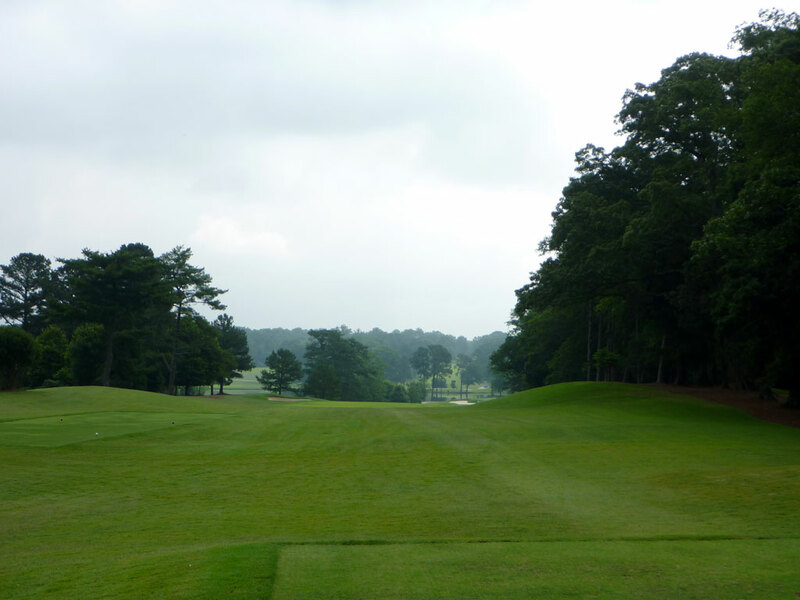 Bogey Beware: 2nd Hole – 455 Yard Par 4 – How this hole ranks as the #14 handicap on the card baffles me. 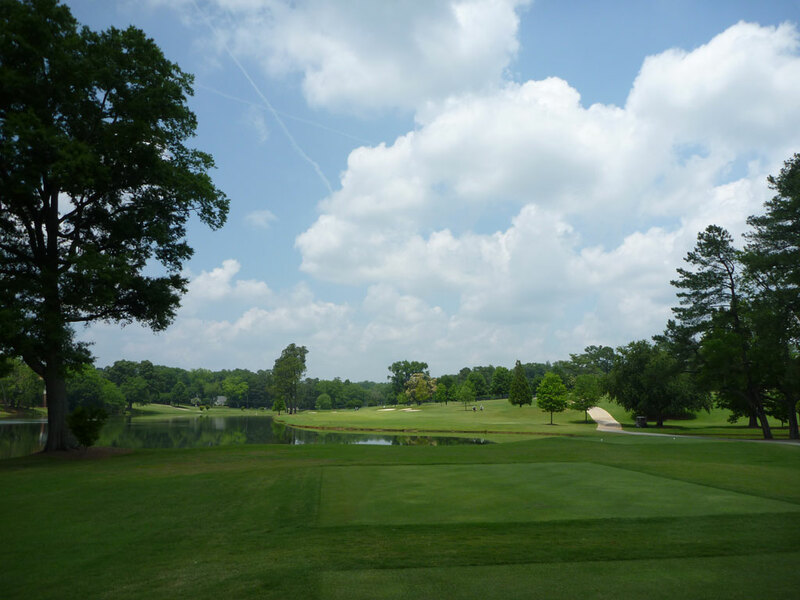 Water runs the entire left side of the hole with the fairway sloping toward the hazard. Bailing out to the right opens up the green while at the same time requiring precise distance control on the approach to avoid the water behind the green while hitting the ball hard enough to carry the steep slope fronting the green. The deep bunkers surrounding the putting surface are difficult to save par out of if thoughts of fear run through your mind of skulling it into the water. This hole is a beast.